Posted on June 3, 2014 by Jen C.
Last week, something incredible happened. There I was, just minding my own business, when I received an invitation to attend “Weird, Wild, & Wonderful: An Evening of Women, Art, & Botany” at The New York Botanical Garden. This was no run-of-the-mill lecture. It also included a meet-and-greet and book signing with Amy Stewart, author of Wicked Plants, Wicked Bugs, Flower Confidential, and her most recent best-seller, The Drunken Botanist. Joining Amy was Elizabeth Gilbert, acclaimed author of Eat, Pray, Love, and The Signature of All Things. Barbara Thiers, NYBG scientist and vice president of science administration/director of the herbarium, started off the evening with an overview of several famous women in botany and science, including Jeanne Baret, Agnes Chase, and Barbara McClintock, as well as a couple NYBG employees making a big impact in the botany world both locally and globally. Robin Jess and Carol Woodin of the American Society of Botanical Artists also spoke about the history of botanical art (this type of art is a key component of Gilbert’s novel, The Signature of All Things), pointing out that botanical artists are curious explorers of the microworlds that are plants. Imagine that — your job as an artist — someone who’s creative and skilled with a paintbrush or pencil — is actually to be a bit of a scientist! When Amy Stewart and Elizabeth Gilbert took the stage, it became more of a conversation between the two women, with audience interaction thrown in. They shared information about their lives (both run successful retail businesses; Liz is selling her house), their inspiration for their literature, and much more. I wrote down a few quotes from the evening, which you can read at the end of this post. 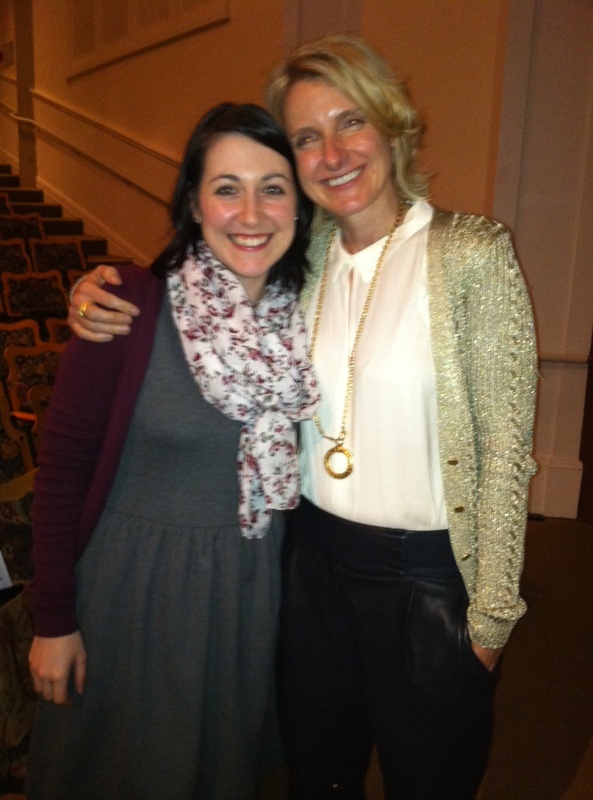 Elizabeth Gilbert and me at The New York Botanical Garden!